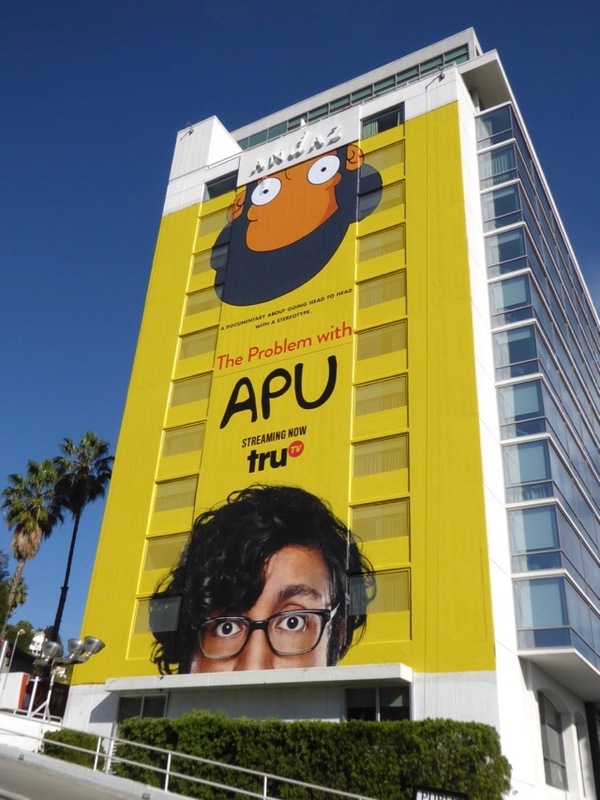 With awards season fast approaching the skies certainly seem to be filled by documentaries of late, like TruTV's The Problem with Apu. 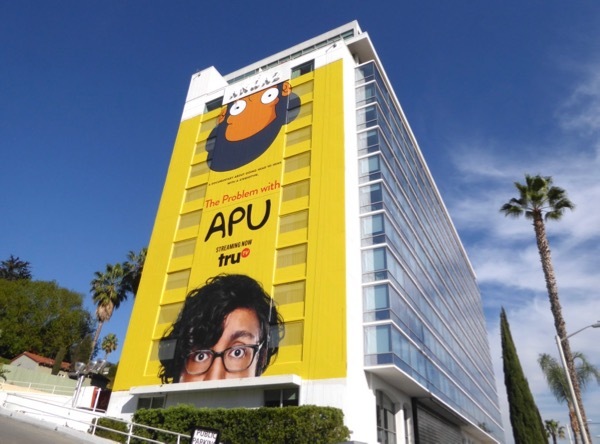 In this documentary comedian Hari Kondabolu examines The Simpsons character 'Apu Nahasapeemapetilon', the Indian immigrant owner of Springfield's Kwik-E-Mart, and how this negative stereotype was one of the only South Asian characters to appear on mainstream American television since the late 80s. 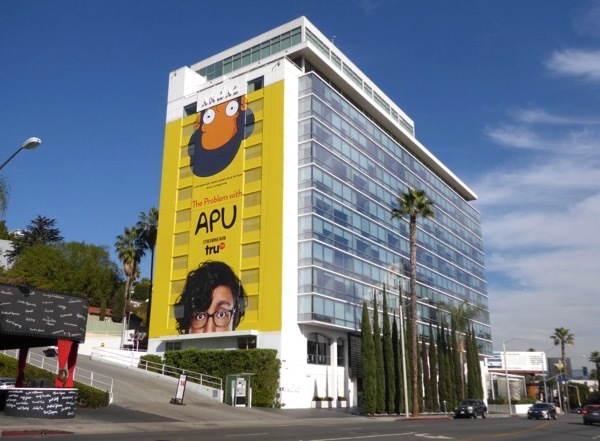 With its distinctive yellow character colour from The Simpsons, this giant billboard was snapped standing out on the side of West Hollywood's Andaz Hotel along the Sunset Strip on November 30, 2017. Meanwhile fans of the long-running cartoon series can check out these other billboards featuring The Simpsons characters. In recent years the success of comedians and actors like Kal Penn, Aziz Ansari, Kumail Nanjiani and Mindy Kaling, to name but have a few, have helped to show more South Asian diversity on U.S. TV, but obviously there's still more work to be done and at least this documentary helps starts the conversation.